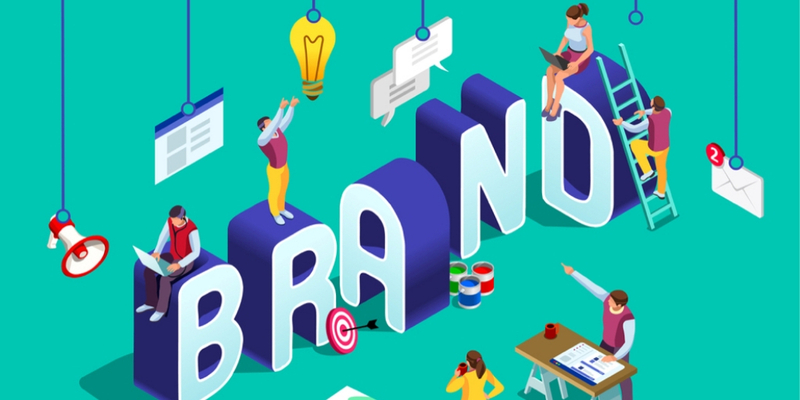 In simple words, brand identity is a collection of all brand representations – its logo, trademark, talisman, infographic, designations and other related materials of the company to the targeted audience. So, everything that conveys a brand message to its audience is very important for a business organisation. Branding helps businesses shape their identity in the market, stand out from many different companies and develop a unique voice. By creating a holistic and consistent form of visual representations, a brand can convey its history and its main message to the user. To be able to do this effectively, brand designers must pay attention to the user’s needs carefully. Designing around human behavior and understanding the psychological component of the design will help them to create an amazing brand identity in 2019. But how they can do it? Let’s find out. Market research provides business owners and top managers with information that answer their questions about the behavior of customers. You must know that these issues may concern different areas of business activities – logistics, pricing, advertising, public relations, brand building, and a general development concept. Research is the only way to develop a development strategy aimed at increasing profits. So, all designers must research their audience and know their preference and liking. This will help you create an amazing brand identity. The success of any business depends on how effectively a company communicates its information to partners and customers. One of the most important sources of information about the company is its representation in the global network. Therefore, web designers must maintain simplicity in brand identity creation. Make sure that your company logo, website, social media pages are easily recognizable and findable on the Internet. Design all these pages in such a way that users feel comfortable while browsing them and remember your brand easily. Modern designers work hard to get their logo utilised on a variety of platforms. Now, they not only ensure that their logo is well adapted to each platform, but also wonder how a changeable logo design will help them establish a stronger relationship with different categories of customers. So, they make efforts to create a logo that changes depending on which category you are applying to. In 2019, this trend will overshadow the unified approach to logo design sooner than later. Specialized iconography, dynamic design, and thoughtful adaptation help to establish a real connection with the specific needs of the target audience and allow you to tell your stories to potential customers. When a certain trend becomes recognizable, people limit their potential subconsciously. In 2019, designers strive to break through set boundaries and balance austere design with bright colours and pleasant, unusual compositions. They will do so to get rid of boring and monotonous design patterns. The whole essence of this trend is to give warmth to geometric logos and give clear messages to customers. So, combine bold geometric shapes with bright colours to make your brand identity clear. In fact, presence on social media has become an indispensable element in the marketing strategy. The social media audience is ready to spend their time and attention on interesting and useful content. So, entrepreneurs are eager to take advantage of this situation and offer them their “portion” of information. Always keep in mind that analysis of key indicators of promotion in social media allows you to optimize the growing costs of marketing and increase the profitability of the marketing strategy. These days, videos of an organization are usually part of a marketing campaign. It forms the desired brand image in the minds of potential customers and strengthens the loyalty of existing ones. A company video is a great way to show the benefits of a brand to consumers and investors and demonstrate professionalism. Always keep in mind that the time spent on your website is one of Google’s ranking factors. That is why you should create and add videos on your website to increase the conversion rate up to a great extent. The use of proper colors is an innovative method to help companies form the right attitude towards the brand. Always keep in mind that you do not need to be a connoisseur of color theory to understand that colors such as red excite passion, energy, and desire. However, things get complicated if the message that the brand wants to convey to the consumer mainly depends on the choice of colors. It does not matter what colors you choose, the combination of colors, their number, and shape turn into a marketable and memorable brand. Remember that choosing the right color helps companies more effectively interact with their target audience. In 2019, choose meaningful colors that reflect the idea of your brand and logo to customers. This year, we will see a lot of logos that use overlapping elements that allow designers to change the degree of opacity and interesting shapes to create eye-catching graphic signs, emblems, etc. In 2019, you will be able to see how intersecting elements are combined with geometry, with meaningful colours and beaten up negative space. Large companies have already begun to apply a similar approach to creating a trademark. Traditionally, logos are small canvases on which designers create an amazing and original picture of what a particular brand is. When one of the main factors determining the fullness of a logo is the need for transformability. It becomes almost impossible to create a design in which more attention will be paid to details. In 2019, designers will create the brand identity in a new style with rival minimalism. Being part of the corporate identity, the font is associated with the brand’s products and is one of the most important means of communication of the company with consumers. The right font sets a person’s mood while reading the text. The same word, typed in different fonts, will be different perceived by different people. Always keep in mind that acting as an element of the firm’s style, has a strong association with marketable brand products. With the help of the distinctive features of the used writing style, buyers form an opinion about the company as a whole. So, take care of the mood of potential buyers and choose the right font in design works to attract the audience. The most unusual sites have fresh look and attractive design. With new ideas, innovative approaches and successful design and marketing solutions, you can attract new visitors and get more business opportunities every day. Despite the availability of so many pre-made themes and templates, you need to create business-centric themes to address the needs of customers in 2019. Despite the widespread digitalization and condemnation of banner advertising, it is still working. But it works only for 5% of advertisers. For the remaining 95%, it simply adds brightness to the city and info-noise to its inhabitants. Don’t complicate things as it will confuse things and make it difficult for users to understand your business messages. Use icons, labels, footnotes, subtitles, etc, to make your banner ads more effective and create more effective brand identity. Clear and easily understandable brand identity helps companies stand out of the crowd and make more business opportunities. In 2019, designers should follow these tips to make a unique and amazing brand identity for companies and help them excel in the business. Best of Luck! Jason Daszkewicz is a custom WordPress developer and passionate blogger. Currently, he is associated with WordSuccor – Wordpress Development Company in USA. He is well known for his professional writings and technical blogs. He loves to share useful information regarding WordPress. Follow him on Twitter and Instagram.